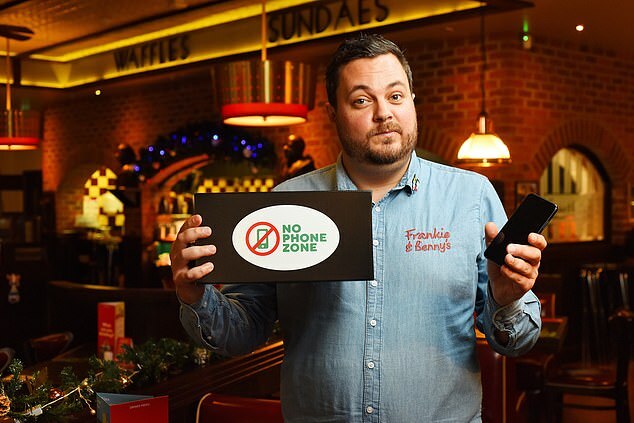 Frankie and Benny’s is the first family restaurant in the UK to implement a ban on mobile phones. The Italian-American chain’s decision comes after new research revealed that 72 per cent of children wish their parents would spend less time on their phones, while a further 70 per cent said they thought their parents enjoyed more screen time than them. Upon entering the restaurant, diners will be asked to deposit their phones in a designated “no phone zone” box at the table with the intention of keeping it there for the duration of their meal. 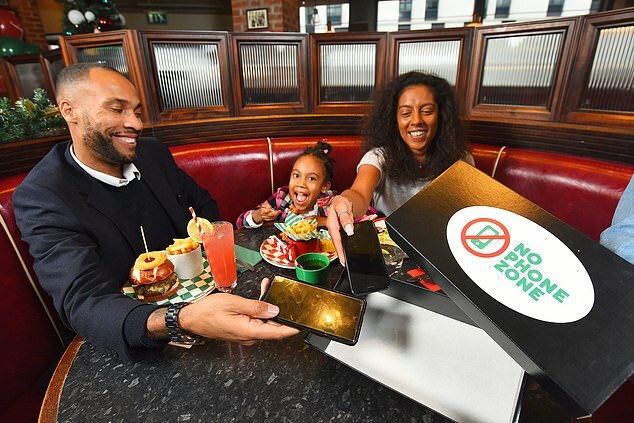 The initiative is part of the restaurant’s “No Phone Campaign”, which aims to champion families spending time together without the interruption of buzzing smartphones and runs from 29 November to 7 December. As for whether or not the ban will be upheld after this period, a spokesperson for Frankie and Benny’s told The Independent that this will depend on the success of the trial, which will be judged on customer reactions. From Thursday, diners will be able to opt-in to the campaign and will be offered free kids meals as an incentive. “Our staff are actively encouraging customers and families to take part in the campaign, but of course, we can't force them to hand over their phones,” the spokesperson clarified. The campaign came about after bosses looked into ways they could encourage people to engage more with one another at the dinner table. “We've found giving families the chance to part with their devices for a mere couple of hours is a great way to bring them closer and embrace family time,” reads a statement from the restaurant. Parenting expert Susan Atkins concurs that eating away from screens will help foster family bonding. “I am delighted to see Frankie and Benny's are leading the way by banning screens at the table,” she comments. Atkins added that parents who reduce the amount of time they spend on their phones will help set an example for their children about “when and where technology use is appropriate."